Ubisoft will announce a new sequel at E3 – what’s it going to be? Ubisoft will announce a new game at E3, and it’ll be out before April 2019. It will be a AAA “franchise title,” most likely meaning it will be a new installment in an existing series. If you want the safest bet heading into E3, you should probably expect it to be Watch Dogs 3, though there are certainly other possibilities. This unannounced game, The Division 2, and The Crew 2 form the trio which makes up Ubisoft’s AAA offerings for the fiscal year, and the publishers hope these three titles combined sell a total of 19 million units. Earlier forecasts for the year had been at 23 million units, though today’s Skull & Bones delay has cut those initial projections short. Ubisoft confirmed that new title will be unveiled at E3 during the conference call following their financial report, as Daniel Ahmad notes. News of Watch Dogs 3 came courtesy of Ubisoft’s personal AI assistant a few months ago – as unlikely a source as any – though Ubisoft themselves apparently don’t consider that official enough to mention the game by name in today’s financial report. The Division 2 had a similarly low-key announcement, but it’s listed as an official part of the upcoming Ubi catalog. Though nothing’s official until E3, a third instalment in the hacking series certainly makes the most sense among the possible Ubisoft series. We know Assassin’s Creed will take the year off, and Far Cry 5 is just a few months old now. If you’re a stealth fan feeling especially hopeful, you might be looking for a new Splinter Cell in all this. Sam Fisher’s return in Ghost Recon Wildlands was pretty conspicuous, and Splinter Cell was among the titles in the Walmart Canada leak which revealed the existence of Rage 2. 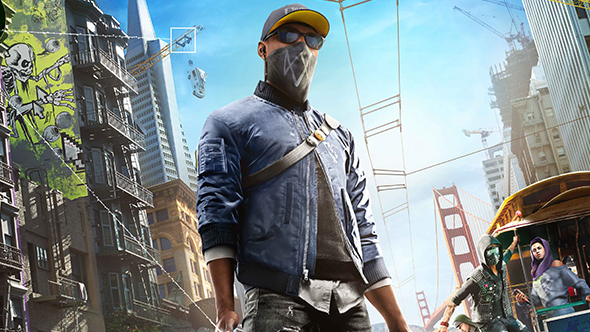 It’s not impossible for this to be the title Ubisoft’s hinting toward, though the hints for Watch Dogs 3 are much stronger – and even with the company’s stated plans, anything beyond the end of their fiscal year next April remains a mystery.